A moist, tender sponge cake filled with a creamy peanut butter cup mousse, enrobed in chocolate ganache. Flourless Chocolate Peanut Butter Cake Roll is decadent dessert that is sure to impress. 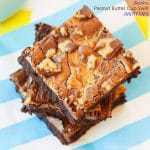 A moist chocolate sponge cake is filled with peanut butter mousse and Reese’s Peanut Butter Cups. 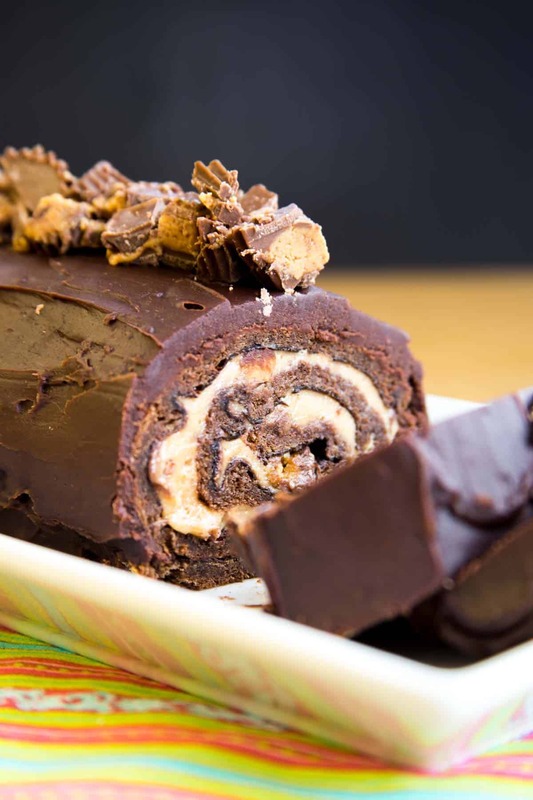 Then it is rolled up, slathered with rich chocolate ganache, and topped with more peanut butter cups. 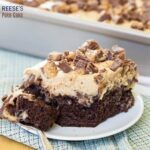 Undoubtedly this Reese’s Peanut Butter Cup Flourless Chocolate Cake Roll is one of the best chocolate and peanut butter dessert recipes, with the bonus of being a gluten free cake recipe too! Baseball, cheerleading, soccer, piano, cub scouts, swimming, chess club – these days it seems parents are running their kids around like crazy every day after school. Oftentimes, it’s a quick stop at the drive-through or picking up a pizza on the way home with everyone grabbing a slice as they scatter in different directions. Parents are also making sure homework is done, laundry is folded, and the garbage has been taken out. While I certainly think it’s good to keep kids active and help them to be well-rounded and learning new things that they won’t learn in the classroom, there is a price to be paid – sacrificing family dinners. Family dinnertime is about so much more than simply eating food. It’s about talking and sharing and connecting. And though my kids are still young, I truly feel that sitting at the table together as many nights a week as possible is what has helped my boys learn not only how to talk, but also how to engage in conversations. Additionally, it’s also where I teach them about both the importance of making good food choices to nourish their bodies and the joy and love that can be shared through enjoying a meal together. Truthfully, I see how it happens. In my case, it’s religious education once a week, karate twice a week, maybe another night or two The Hubby has to work late or has a work dinner to attend. This has come to reaffirm my position that even as our children grow, we will make choices about activities and plans and schedules that ensure that family dinners do not fall by the wayside. For me, though, sitting down to family dinners is a way of life. It is how I grew up and how I intend to raise my children. I want them to know that our dinner table is a welcoming, safe place. It is a place where they can share joys and sorrows, accomplishments and concerns, a place where they can tell us what they’ve learned and what they need help with, and where we can share our experiences and advice, or just lend a supportive ear or shoulder. This Peanut Butter Cup Flourless Chocolate Cake Roll recipe is way too easy to be this impressive and amazing. Chocolate and peanut butter is never a bad idea. Now triple the chocolate and triple the peanut butter, and you have a winning combination. When I saw this Peanut Butter Cup Cake Roll from Dorothy at Crazy for Crust, I knew I had to make it with my favorite flourless chocolate sponge cake. I’m so glad I did. Well, my waistline may not be happy I made this Flourless Chocolate Peanut Butter Cake Roll, but my tastebuds are. Yours will be too! How do you make Flourless Chocolate Peanut Butter Cake Roll? To make the super easy flourless chocolate sponge cake, separate your eggs and whip the whites to stiff peaks. Next, whip the sugar and egg yolks until it is thick and pale yellow. This will take a few minutes. Then blend in cocoa powder, coffee, and vanilla. Fold the egg whites into the egg yolk mixture in three additions. Do this gently to keep it light and fluffy. Spread the batter in a parchment-lined baking sheet and bake. While it baked prepare the mousse by blending cream cheese, peanut butter, and powdered sugar until smooth, and fold in chopped peanut butter cups. During this time, you’ll also make the ganache so it has time to cool. Heat the heavy cream and chocolate chips, and stir till smooth. After the cake bakes and cools, fill it with the mousse, roll it up, and chill. 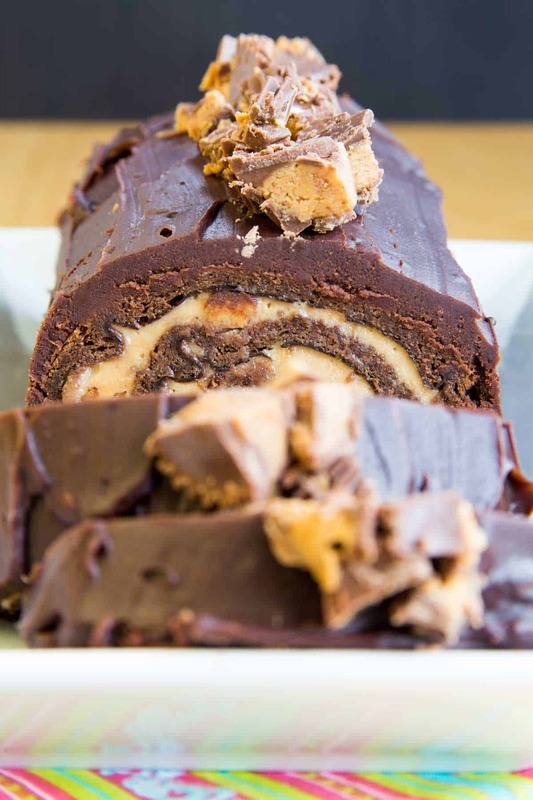 Finally, cover the cake the rich chocolate ganache and even more peanut butter cups and you have a swirly good roll of heaven. But I left out a few important details to remember when making Flourless Chocolate Peanut Butter Cake Roll. How do you keep a cake roll from cracking? I find this flourless cake to be more, I suppose you can say, “flexible” than a traditional cake, so it is less likely to crack. However, I do take a few precautions. Before baking the cake, line the baking pan with parchment, spray it with cooking spray, and using a small sifter, coat it completely with cocoa powder. This will ensure it comes out of the pan easily and in one piece. While the cake is baking, lay out a kitchen towel. It will get quite dirty, so make sure it isn’t one that you will want to keep pristine. Using a small sifter, cover the towel with a layer of cocoa powder. As soon as the cake comes out of the oven, flip it over onto the towel and peel off the parchment paper. Then carefully roll it up in the towel and let it cool. Now all you have to do is unroll it, spread the filling inside, and roll it back up without the towel. Is Flourless Chocolate Peanut Butter Cake Roll gluten free? As I mentioned, this flourless chocolate sponge cake is naturally gluten free. 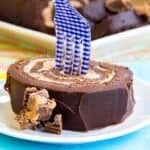 It is my go-to for chocolate cake roll recipes, and I’ve also used it to make Flourless Pumpkin Cheesecake Chocolate Cake Roll. You do always want to read labels on ingredient such as vanilla extract and cocoa powder to ensure that they do not have any sneaky gluten-containing ingredients or are produced in a facility where there could be cross contamination. But in this recipe, you doin’t even have to worry about buying a specialty gluten free flours. The mousse and ganache contain fairly basic ingredients like cream cheese and heavy cream. One slight note if caution is to also check your chocolate chips. I always use the Cocsto-sized bag of Nestle Toll House Morsels. So there’s really only one area of concern when making Flourless Chocolate Peanut Butter Cake Roll. Hershey confirms on their website that all Reese’s Peanut Butter Cups are gluten free except the seasonally shaped items, so skip the pumpkins and Christmas trees. Justin’s Peanut Butter Cups are also gluten free. That means you have no problems making this Flourless Chocolate Peanut Butter Cake Roll. 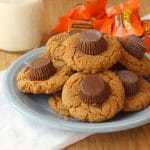 What else can you make with Reese’s Peanut Butter Cups in it? These Chocolate Peanut Butter Cookies from Love From the Oven are fully loaded with chocolate and peanut butter and Reese’s. Peanut Butter Cup Pie from Wine and Glue is the stuff chocolate and peanut butter dreams are made of. Peanut Butter Cup Rice Krispie Treats from Inside Bru Crew Life make the classic marshmallowy bar even better. A moist, tender sponge cake roll is filled with a creamy peanut butter cup mousse, then enrobed in chocolate ganache. If you don’t turn heads with this dessert, I’ll be shocked. 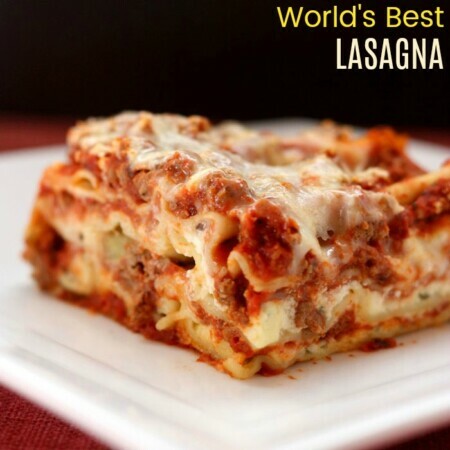 It’s rich, indulgent, and worth every calorie. In addition, since it’s a flourless chocolate cake roll, it’s naturally gluten free, too! If you love this Flourless Chocolate Peanut Butter Cake Roll, I hope you’ll leave a comment and give it a FIVE STAR rating or share a photo on this pin on Pinterest! Preheat oven to 350°F. 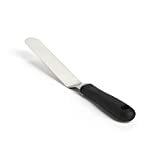 Coat a rimmed baking sheet (jelly roll pan) with cooking spray and line with parchment paper. Spray the parchment with more cooking spray and dust with 1 Tablespoon cocoa powder. Using an electric mixer, beat the egg yolks and granulated sugar on high speed until thick and pale yellow. Add 2 Tablespoons cocoa powder, salt, coffee and vanilla, and beat in. With clean beaters and a large clean bowl beat the egg whites to form stiff peaks. Gently fold about about a quarter of the egg whites into the egg yolk mixture. In three additions, fold in the remaining egg whites. Spread the batter into the prepared pan and bake for 20 minutes. It will slowly spring back when lightly touched. While the cake is baking, sprinkle ¼ cup cocoa powder over a clean kitchen towel. After removing the cake from the oven, cool for a few minutes,and run a knife around the edges of the cake. Invert the cake onto the prepared kitchen towel and remove the parchment paper that is now on top of the cake. Carefully roll the cake in the kitchen towel and allow to cool completely. While the cake is baking, make the filling and topping. Beat cream cheese and peanut butter with a hand mixer until smooth, then beat in the powdered sugar. Add vanilla and 2 Tablespoons heavy cream and beat until smooth, adding up to an additional 2 Tablespoons heavy cream is necessary to achieve desired consistency. Stir in 1/2 cup chopped peanut butter cups. 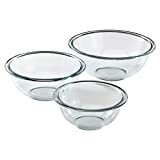 Place chocolate chips and 2/3 cup heavy cream in a microwave safe bowl or measuring cup and microwave for 30-60 seconds. Stir until smooth. Chill in the fridge until thick and spreadable. Carefully unroll the cake in the towel. Gently spread the peanut butter mousse filling over the top of the cake, spreading to about a half inch from the sides. Roll up the cake from short end to short end. Place seam side down. Carefully frost the cake with the ganache and top with the remaining chopped peanut butter cups. Refrigerate for at least 1-2 hours before slicing. Slice off the unfrosted ends, if desired. Filling and topping is from Crazy for Crust. Enjoy this Flourless Chocolate Peanut Butter Cake Roll! Originally published on Jan 3, 2016. Here are more party recipes! ahhh I love this-flourless chocolate cake means MORE chocolatey flavor! I made this for my husband’s birthday. He cannot have gluten, but he still loves a good rich cake, especially a chocolate and peanut butter combination! This was a delight to make and a joy to share and devour! His family doesn’t have a lot of understanding of his limitations (not because of lack of care, of course! they are amazing family) and almost bought a regular cake. This recipe saved his body and his birthday. Thank you for posting it! I am so happy to hear that your husband (and everyone else!) enjoyed the cake roll, Lesia. 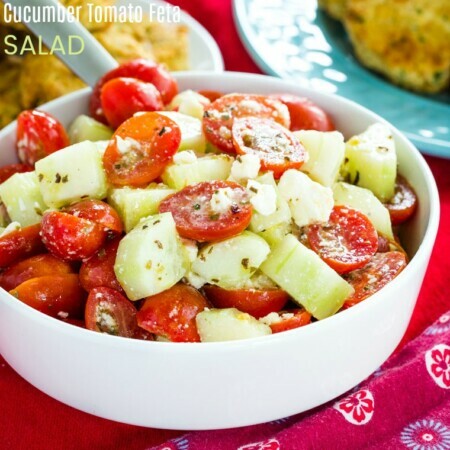 Thank you for your comment and for rating the recipe! This cake is awesome. Hope I can make it at home like you directed. Roll cakes are pretty forgiving, and mistakes are easy to cover up. I’m sure yours will come out well! It calls for 1/2 cup chopped PB cups mixed into the filling. Then it calls for remaining chopped PB cups for the top of the icing. The recipe only calls for 1/2 cup. What is the quantity for the topping? Never mind – it’s there and I’m going to bed! Sorry…..
No need to apologize! I’m glad you found the information you needed. Enjoy the recipe! This looks amazing, but under the filling section one of the ingredients just says “4 tablespoons.” 4 tablespoons of what? Sorry, it must have gotten deleted by accident because it is in the instructions. Heavy cream. I fixed the recipe. Thanks for pointing that out. The cake turned out a lot thinner than I had imagined it would be. Could it be because I haven’t made a flourless cake roll before, or could I have done something wrong? Tashina, the cake portion of a cake roll is quite thin. This is so that the cake doesn’t become too large once the filling is placed inside and the cake is rolled up. Hello, this cake looks so good that I want to try it. It looks tricky though. I’m afraid the cake will stick to the kitchen towel. Does this really work and are there any tricks to this? Cake rolls really are easy to make, and don’t let the recipe intimidate you. Use a kitchen towel that doesn’t have a lot of texture, such as a flour sack cloth. Also, you can sprinkle the towel with a dusting of unsweetened cocoa powder. That will help prevent the cake from sticking to the towel. Where did you get those blue and white checked plastic forks? Hi Brianne! Have you ever frozen this cake for later? I want to make it for something that’s in 3 weeks but I’m not sure I’ll have time then so I was hoping to make it ahead and freeze it if possible. Thanks! I honestly have not tried freezing it. I would guess it might be ok if you freeze with without the ganache, then add that before serving. Maybe I missed it somewhere, but am just wondering how many servings this dessert makes. It looks wonderful! Do you have to add the coffee? You would need to add another liquid. You don’t taste the coffee. It really just enhances the chocolate flavor. I really want to make this cake but wondering if you could tell me what size sheet pan you used? I have 2 different sizes and need to know which to use! Thanks! I use a 10×15 inch jelly roll pan. I was just looking for a decadent dessert for our Valentine’s Dinner and this came up. YUM!!! Thanks for the idea! It is super decadent – so perfect for Valentine’s Day! I hope you have a fun family celebration! This looks amazing!!! Can I sustitute the peanutbutter cups with peanutbutter? We don’t get peanutbutter cups in South Africa. This would still be super delicious without the peanut butter cups. Maybe you want to put some chocolate chips n the filling if you want a little textur. I had a good friend in college from South Africa! Yay for Sunday Supper ans YAY for this cake roll!! I’m not usually a cake roll fan but THIS??! omgeee it’s perfection. i love the chocolatey cake and that pb filling! ooooh so good! Chocolate and peanut butter is always a good idea!! Thanks girl! Sounds absolutely delicious!! Can something else be substituted for the coffee in the cake? You can just use water, but the bit of coffee just enhances the chocolate flavor. You don’t actually taste the coffee. I’m not a coffee-lover myeld. I cant even…. how amazing! 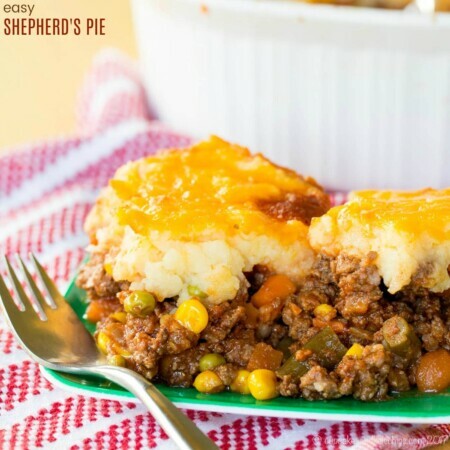 Wow so yummy~ Thanks for linking up to Merry Monday! Sharing on G+! Have a great week! It’s always one of my favorite combinations! I’m curious about the recipe. It only calls for 2 tablespoons of cocoa for the actual cake; that seems like it wouldn’t be very chocolatey. It is a thin cake, so it actually makes it quite chocolaty. I think it’s fabulous that you have the traditions with your children of sitting down to dinner together. Life get’s so crazy and it’s important to remember why we are a family! As for your dessert….YOWZA! I need this in my life! YUM! I’ve never tried making a cake roll before. I really, really want a piece of this cake! Such a pretty dessert! 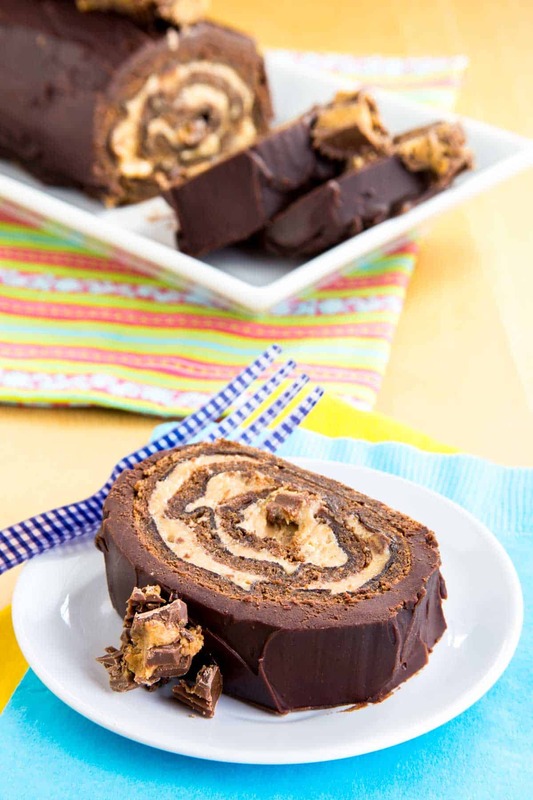 Love the peanut butter and chocolate combo in a flourless cake roll! Thank you! I love making cake rolls just for the pretty factor! What a delicious and perfect sweet treat to end a family meal with! 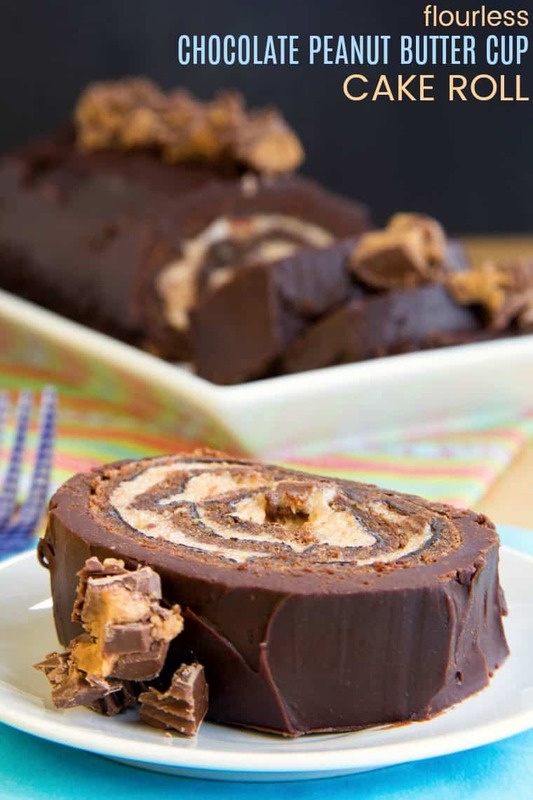 I love the combination of peanut butter and chocolate, and this flourless cake roll sounds divine! It is nice for a special occasion! We eat dinner together everybody and on a Saturday it’s with my parents also. We use it as a time to reflect on the day, teach table manners and talk about what ever is on our minds! It’s part of our routine and it will stay that way! That is so nice that you get to have a weekly meal with your parents too! I love the idea of the Sunday Supper Pledge – how inspiring! And this cake roll, oh my gosh! I can’t wait to make this bad boy! Isn’t it a great idea, Roxana?! So important. And thanks! I love anything with peanut butter and chocolate thrown together. This is a great cake!! Brianne, you have totally outdone yourself with this cake. It is gorgeous! Family dinners are so important. It sometimes amazes me that they have fallen by the wayside. When my parents were kids their parents worked and they had activities and they managed to make home cooked meals happen nearly every night. Sometimes I think they were happier too … we should get back to that feeling. Definitely a swoon-worthy dessert! What a perfect cake roll. I hope you saved me a big slice!!! I had to send it out of my house before I ate it all!! I love reading how important Sunday Supper to your family because we obviously share the same value.And this chocolate cake roll sounds like an awesome treat on dinner table. I’m sure everyone would love a slice of this sweet log. It’s so important! I really hope to do my best to continue with it as my boys get older! 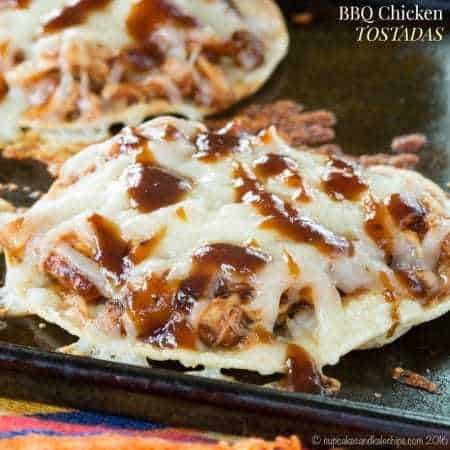 Es deliciosa, pronto la haré. Thank you for your nice comment, Miryam!